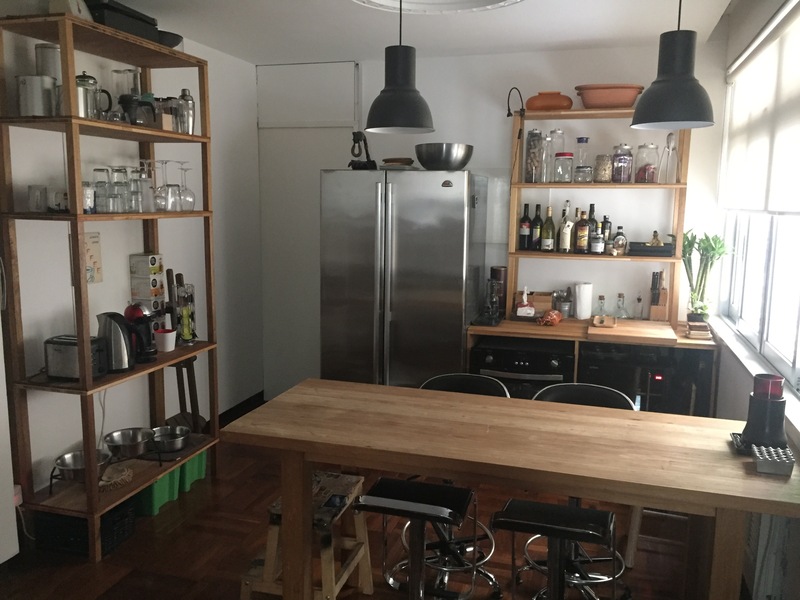 It’s been a while…… I was too busy after moving to this new home, we’ve spent few days to build some furnitures in the dining room as our second kitchen, because I need an oven to cook some of the dishes. There is no space in the kitchen to place the oven, so we have to create an area in the dining room for me to cook, we call it The Western Kitchen. Moreover, I always fancy to have a large fridge, with the space we have in the dining area, we can afford to put that. 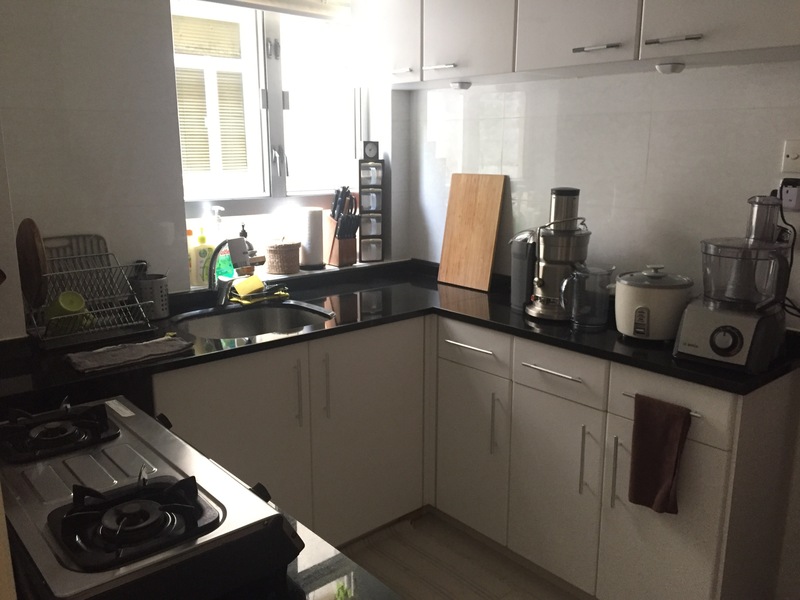 See the Western Kitchen vs the Chinese Kitchen. That’s not the major reason to keep me busy, actually the big project was building the home music recording studio at the second bedroom with my husband. Our living room and dining room were literally filled with stuffs for the last 3 weeks. Full of building and construction materials, and we finally cleaned up the entire area when the studio was nearly done few days ago. Finally, I can go back to Sunday cooking, or more cooking! Since I’ve got the oven running, I would like to cook something with the oven. I decided to do a slow cook dish, my husband likes beef brisket, so instead of the Chinese style, I would like to make the western style for him. First of all, we need to get some good beef brisket, and I don’t want to get them at the wet market because they are always warm. I get some good organic one from New Zealand, around 2 pounds, which should be good enough to serve 4 people. To cook the beef brisket, let’s get them clean and season them with salt, pepper, oregano and thyme. Heat up a pan with some butter and olive oil, then fry all the brisket until they turn brown. On the other hand, heat up a dutch oven with some butter and olive oil, then put 2 chopped onions in it and fry until they start to cameralise. Then add all the beef brisket and one entire garlic cut in half, now add some red wine and zimmer for few minutes until the wine is absorbed by the beef. Then add 2 cups of beef broth, some Worcestershire sauce and soy sauce, few bay leaves, bring it to boil then cover the lid and place the dutch oven into the oven and cook for 2.5 hours under 160C. If you found it with a lot of broth after 2.5 hours, you can cook with the stove and thicken the sauce a bit. For the grilled corn, cut the whole corn in half, place them ina tray with foil or cooking paper. Season the corn with salt and paprika, then coat the corn with olive oil and add some butter on top. Place the corn in the oven under 210C for 20 minutes or until they are nicely cooked the way you like. 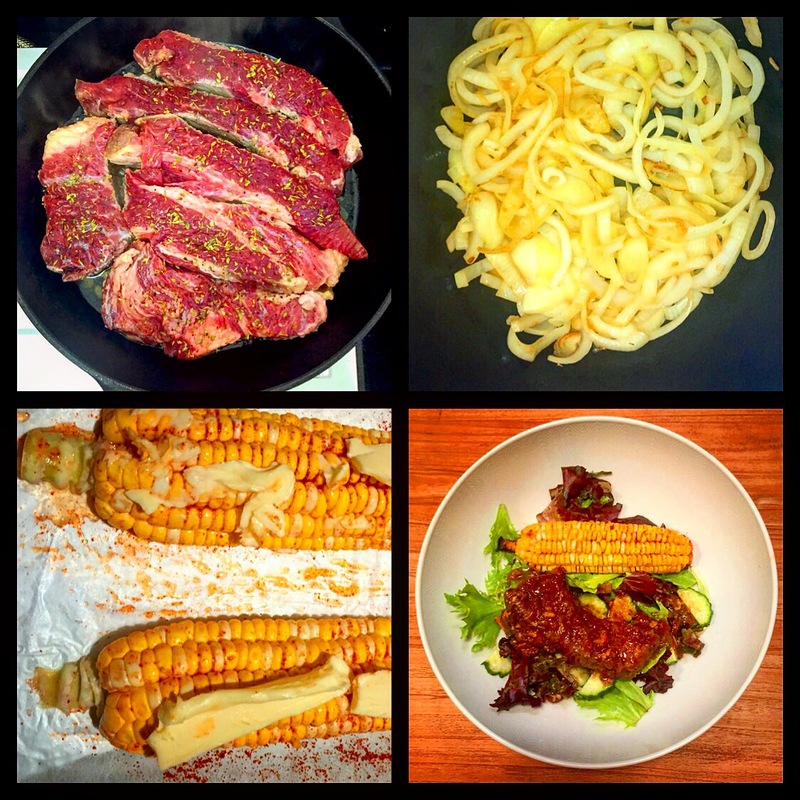 Serve the beef brisket with some green salad and together with the grilled corn. I like to use the beef broth as salad dressing, but my husband like to use the Thai salad dressing for the salad.